The quote on the front cover of Doing Virtuous Business by Theodore Roosevelt Malloch says it well: “Every CEO should read this book.” I agree! It seems that our mainstream media has become more and more anti-capitalism and anti-private business. It seems a small — but very vocal — group would prefer that our government oversee every business enterprise. According to Theodore Malloch, nothing could be farther from the biblical way of thinking about business. By using both real-time examples of virtuous businesses and the wisdom of Scripture, Mr. Malloch makes the strong case that businesses operating on biblical virtues become spiritual enterprises that can benefit all of society. As a former business owner myself, I couldn’t agree more. By creating wealth, we use God’s gifts responsibly, and provided that we work toward that goal in a spirit of humility and gratitude, we benefit all those with whom we deal long the way. When people join together in an enterprise, they create a new person, the firm itself, which is something greater than the sum of its parts. It, too, has a soul, and if its members honor God, then it, too, honors God. Profitability comes last among the principles: it is not the primary goal of the company, but the consequence of doing business in the right way, so as to honor God. A company guided by faith will possess the virtues that I have described in this book: it will have the courage and perseverance to pursue its goals and also the humility, compassion, and forgiveness to guard against arrogance and offensiveness. This is the first book I have read in quite awhile that deals head-on with the weak arguments the anti-capitalists use. And it does so winsomely, kindly, and quite persuasively. I repeat it again: every CEO should read this book! …and I would like to ask for your help. 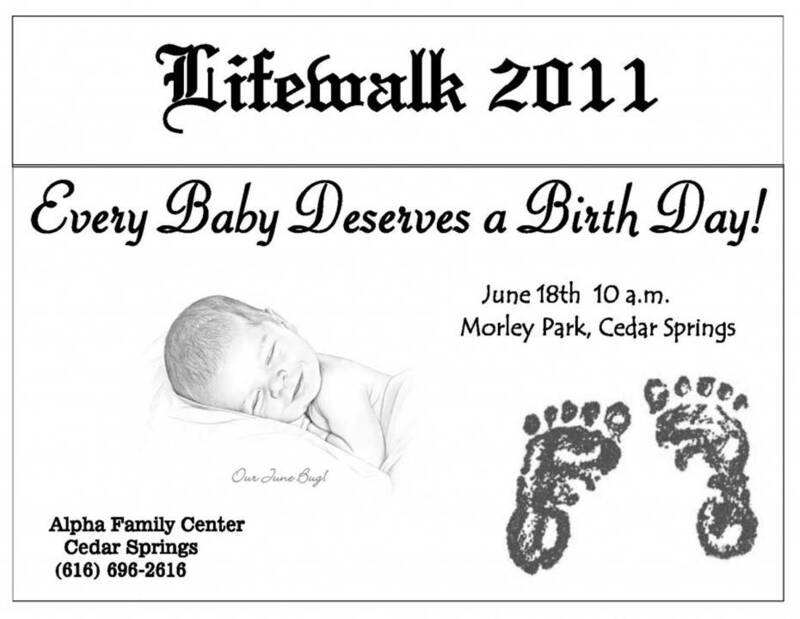 I’m participating in the 2001 Lifewalk to benefit the Alpha Family Center in Cedar Springs. Alpha provides all sorts of resources to teens and particularly counseling for young, often unwed, parents. Lifewalk is their major fundraising event each year. Sign-up to walk with me on Saturday, June 18, at 10am. You can sign up and get a sponsorship form by clicking here. Make a financial pledge to me for walking in Lifewalk. If you would like to make a pledge, you can do so through PayPal (be sure to put “Lifewalk” on the memo line). Thank you for helping me support this solidly PRO-LIFE organization! 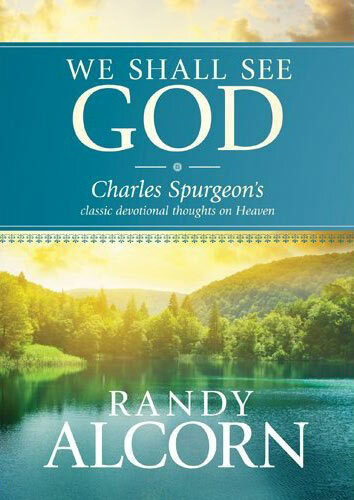 It wasn’t for nothing that Charles Spurgeon was called “the prince of preachers.” In We Shall See God by Randy Alcorn, you can get a taste of Spurgeon’s eloquence, and of Heaven’s majesty. I’m so grateful for the men and women who have put themselves on the front lines to keep us the land of the free and the home of the brave! 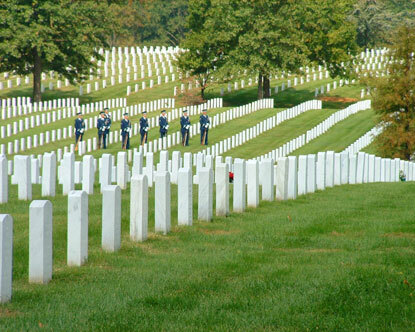 One day a year is far too short a time to honor our fallen heroes, so let’s make sure we start today, and remember them all year long. Thank you soldiers, sailors, airmen and Marines! Because of you, we enjoy our freedom today. May God bless you! People who call themselves Christians should know how to read the Bible, right? Maybe, but many times I think we assume far too much. Fortunately How To Read Your Bible by A.J. Conyers can help. Some people simply flip their Bibles open to any passage and simply start reading. Some people only open their Bibles when they’re at church. All of these methods may work, but they’re not the best way to learn what God has to say to us in His Word. A.J. 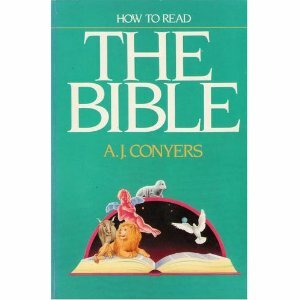 Conyers explains to his readers the art of reading the Bible, as well as the practice of reading the Bible. He gives enough background information to get you started in the right direction, and he gives you ample resources to continue digging into God’s Word more. As you might have noticed, I love to read. But hands-down-without-question my favorite book is the Bible. Every time I open it up, I find something new to apply to my life. If you’re having difficulty getting started on a Bible study, this book may be just the thing to help get things rolling. I remember once going to play golf with two other friends. When we got to the course, the starter added another guy — someone we didn’t know — to our group to round-out our foursome. 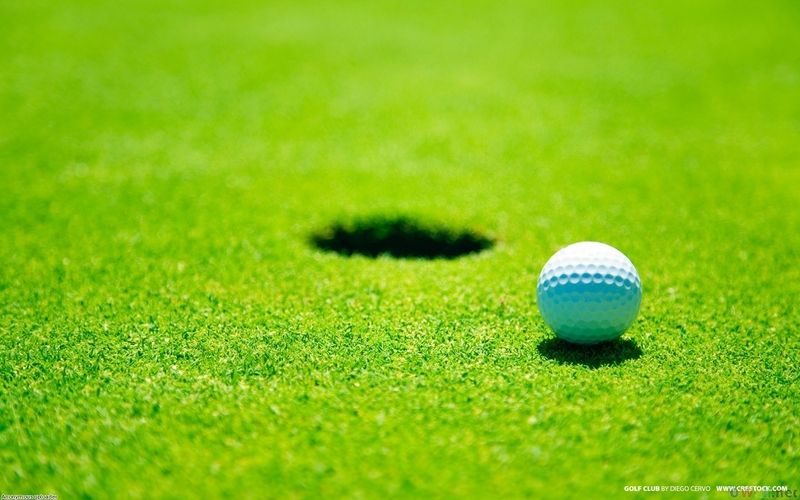 We began to “play” our round of golf (I use the term play loosely), and joke, and laugh, and enjoy ourselves. It’s funny, and yet sad. Why would Christians be thought of as boring? dull? killjoys? Shouldn’t we be the most happy and joy-filled of all? We ought to be glad and rejoice forever in that which God creates. Ours is a heritage of joy and peace. My dear brothers and sisters, if anybody in the world ought to be happy, we are the people. How large our obligations! How boundless our privileges! How brilliant our hopes! What should make us miserable? Sin? That is forgiven. Affliction? That is working our good. Inward corruptions? They are doomed to die. satanic temptations? We wear an armor which they cannot penetrate. We have every reason for delight, and we have moreover this command for it: “Delight yourself in the Lord, and He will give you the desires of your heart” (Psalm 37:4). May God bring us into that blessed condition and keep us there! God intends not only that we should have joy but also that we should spread it among others. He intends that wherever we go we should be light bearers and set other lamps shining. Can people tell you have the joy of the Lord? Are you bringing light and laughter to dark and somber people? If you are filled up with God, how happy you should be! Brian Simmons addresses a vital topic for church leaders and parents: why are emerging adults leaving the church? Wandering In The Wilderness is chock full of timely research and observations that are vital for us to see a healthy future for the church. Brian is a real boots-on-the-ground author. He works in a college setting and is very involved in the life of his students outside of the classroom. In fact, the prompting to write this book was a conversation with a former student who shared that she felt she was lost and wandering. Wandering In The Wilderness has a very conversational tone, but it is by no means simply a collection of anecdotal observations from one college professor. On the contrary, the volume of research that is presented in this book is quite impressive. This level of research gives an authoritative tone to the conversation. As a church leader, I was particularly drawn to the attitudes that emerging adults have about the church and organized religion. I found myself jotting down plenty of notes in the margin. I also have three children of my own who will soon be entering the emerging adult phase of their life, and I found ample information to help me guide them through this important transitional stage in their lives. Recently I read and reviewed Tim Elmore’s outstanding book Generation iY. That book was a brilliant insight into the thought processes of emerging adults. 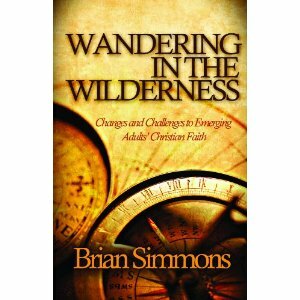 I would recommend Wandering In The Wilderness as a companion piece, especially for church leaders who want to make sure this generation is well prepared to transition into leadership positions in healthy, growing, vibrant churches.